The Pimps of Joytime hit the road. Check out their latest single we mastered. It's groovy! Working on some of my skeleton compositions. Real happy Meah's Ep was released this week. She's a great singer and songwriter. We did the mixes and mastering up here at Atlantic West. Listen here or iTunes. My two new favorite plug-ins: Waves' Manny Marroquin bundle has a great sounding eq, reverb, delay and distortion as well as interesting takes on tone shaping. ...and Waves' Center could be my secret weapon tool for mastering! 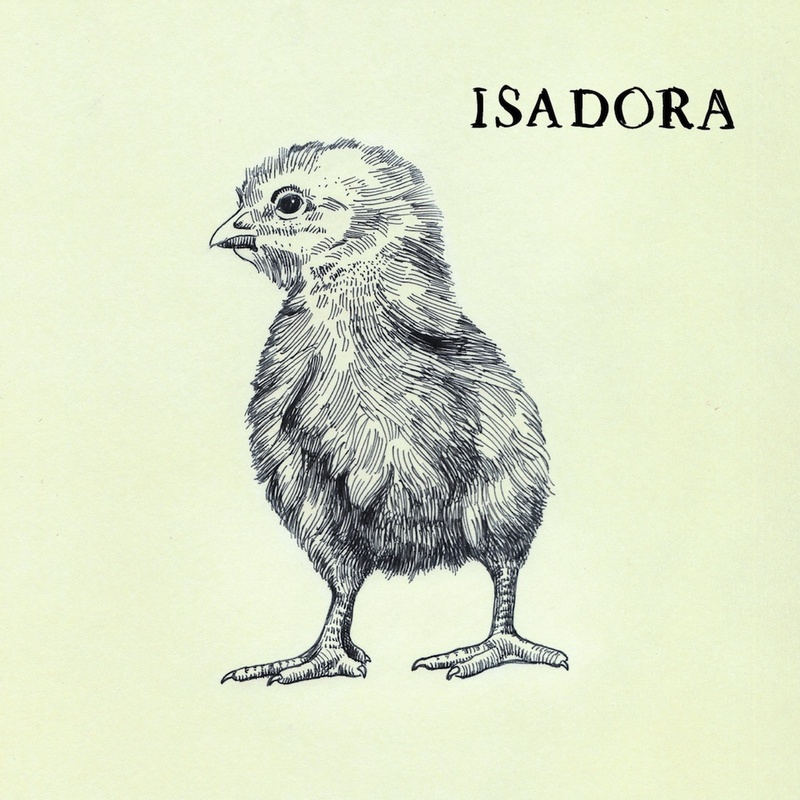 Isadora - EP Since we're discussing artful and ambitious releases, allow me to introduce you to Isadora, whose debut came out near the beginning of the year. I discovered them when they were on the bill with Napoleon (who I discovered at the Mystical Weapons show earlier in 2013). Of course, I investigated Isadora before the show to see if I should plan to stay for their set. I knew within a minute or two of the first song, that I wouldn't want to miss them. While their debts (to Radiohead and The Beatles, among others) are clear, they have more than enough of their own personality to make their EP one of the most promising debuts of the year. Over the course of the EP, they demonstrate a sure hand at crafting complex songs full of organic tempo changes and dynamic shifts in volume and tone. There's an experiential quality to their music, where by the end of each song you feel like you've been through something. This is even more apparent in concert, where they push the dynamics to the limit, but the crystal clear recording doesn't sacrifice the sense of spontaneity and interaction that helps their music achieve liftoff. The five members of Isadora are all excellent musicians, with Nick Burleigh an important double threat on both guitar and violin, Joshua Rouah mainly playing atmospheric keyboards but also guitar on occasion, Ian Mellencamp melodic but not groove-averse on bass, and Jesse Bilotta knowing just when to ratchet up on the drums and when to lay back. Aaron Mendelsohn's vocals show a lot of range and flexibility, going from a reflective croon to a biting intensity as the song demands. Together, the music they make is incredibly satisfying. Get the EP now and keep an ear out for more from Isadora in the future. Excellent screening of TGBB at the Big Apple Film Festival last night. Re-recording mixer Ron Shaffer with writer/director Scott Kawczynski and editor Jesse Gordon. I really dig this song by Guss aka FFriendly and enjoyed mixing & mastering it. Nice video too! We mastered this fantastic, feel-good album. Beautiful morning here at Atlantic West. Read more at Curran Reynolds blog spot. April 17, 2016 Dialog Editing and Re-Recording Mixing short doc For Flint. World Premieres at the Tribeca Film Festival. March 2, 2015, Trust Greed Bullets and Bourbon now on Video On Demand and doing well. Very pleased to have been the re-recording mixer on this excellent indie thriller. February 21, 2015 my YouTube Audio tutorials channel is up!!! Subscribe here. February 15, 2015 mastered Captain Planet's Espranto Slang Lp. January 25, 2015 producing, recording and mixing forthcoming Your Fragile Mind 9 song project. Think Joe Jackson meets the Stones, Eagles and a little bit of Tom Petty and Neil Young! December 18, 2014 mixed the legendary José Feliciano's live streaming set for Dary'ls House Club. Really a treat to see him perform. October 19, 2014 mixing super fusion group SEE? More to come on this talented 3 piece. March 12, 2014 working on mixes for Space Station Media and Timo Ellis' fantastic new album. Stay tuned! March 11, 2014 just mastered and sent out Big Mono's new CD for pressing. Keep an ear out for these guys featuring, Torbitt Schwartz, Jeremy Wilms and Jesse Boykins III. December 20,2013 Mastering flurry- A vinyl single release "Booty Text" for Pimps of Joytime, a 3 song vinyl and digital release for Nickodemus and The Nubatones as well as a one song Christmas track by Chris Turner. October 30, 2013 Netherlands metal album Silicon Vapor released yesterday. September 3, 2013 Late night mastering for Nickodemus again. September 3, 2013 Timo Ellis is here mixing his "Love Her In Context" remix for Shelley Burgon. August 14, 2013 Mixed another Microsoft TV advert, Bing for Schools. August 7, 2013 Mastered for Dj Nickodemus- Fafisa EP. And tons of other stuff through the years for his Wonderwheel Recordings label. July 18, 2013 Finished up mixing & mastering Meah Pace's 5 song Ep. Her stuff is a blend of traditional 60's and 70's rock n' roll, blues and gospel. Great songwriting, voice and band. June 23, 2013 Mixed Spencer. Winner at NYC International Film Festival- Best U.S.A. Feature Film. June 13. 2013 Mixed & mastered 2 hot new punk tracks for Anna Copacabanna. June 4, 2013 Mixed Microsoft's Bing ad. May 15, 2013 Mixed & mastered Jordan Galland's 6 song Ep, Wind Up Rabbit.